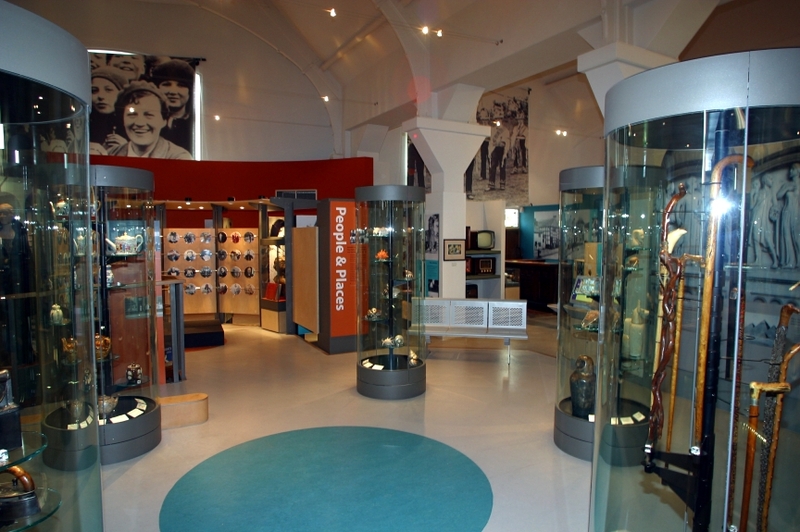 The Art Gallery and Museum spaces are regularly changed to display as much of Rochdale’s vast collection of art and museum artefacts as possible. We also strive to bring in the highest quality art from all over the world to be exhibited in one of our four gallery spaces, as well as having a dedicated space for local artists to display their work. The Grade 2 listed building built in Yorkshire stone which was developed in three phases. The first phase, the section nearest to the Town Hall was opened to the public in 1884 as a Public Library. The second phase opened in 1903 after a long campaign by local dignitaries to establish a museum and art gallery. 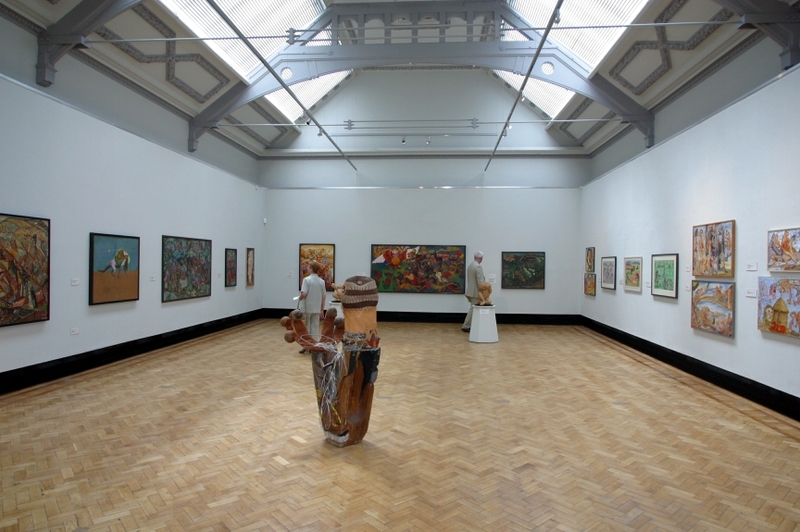 The third phase was completed in 1913 to provide additional space for the museum and gallery. 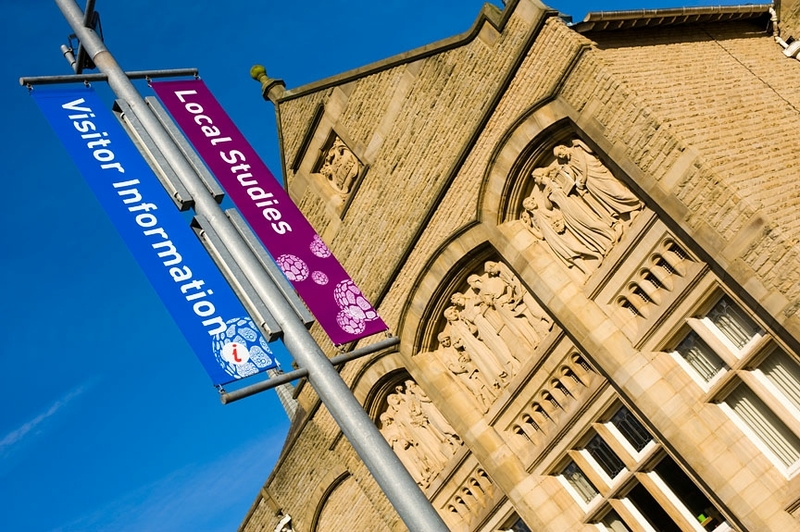 Following a refurbishment in 2002, Touchstones was reopened and as well as being open to the public Tuesday-Saturday, houses Link4Life’s Arts & Heritage Service. There are volunteering opportunities at all Link4Life centres, follow the link to the volunteering page for more information. 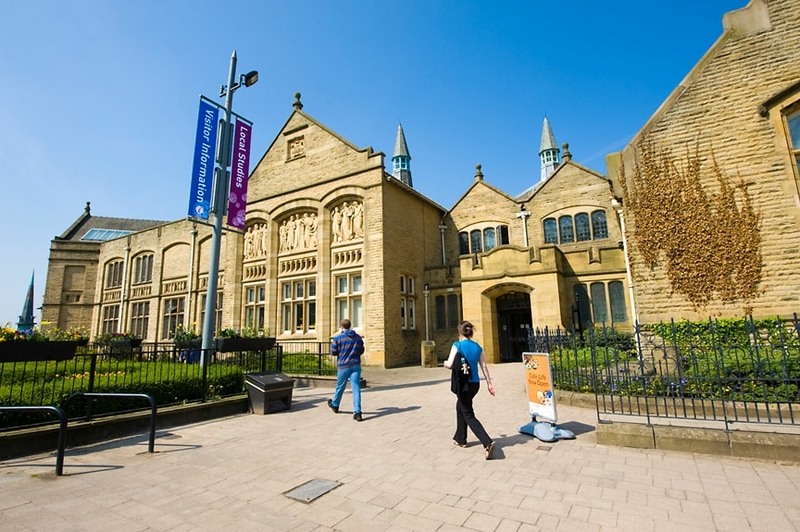 We want everyone to enjoy their visit to Touchstones Rochdale. If you have special requirements, please let us know in advance and we will do our best to help you. 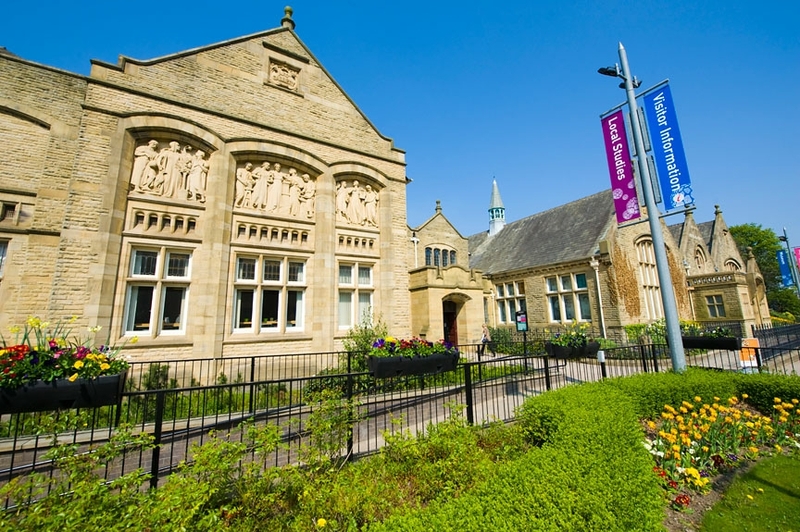 Touchstones Rochdale is fully accessible for people using wheelchairs including an accessible toilet. There are three designated parking bays for blue badge holders outside the centre. Collapsible seats are available for use in the galleries and there is a lift available. Induction loop facilities are available in various locations in the building. We are always looking to improve the service we provide our visitors please contact us if you have any comments or suggestions. Click here to to download the Access Statement for Touchstones Rochdale. 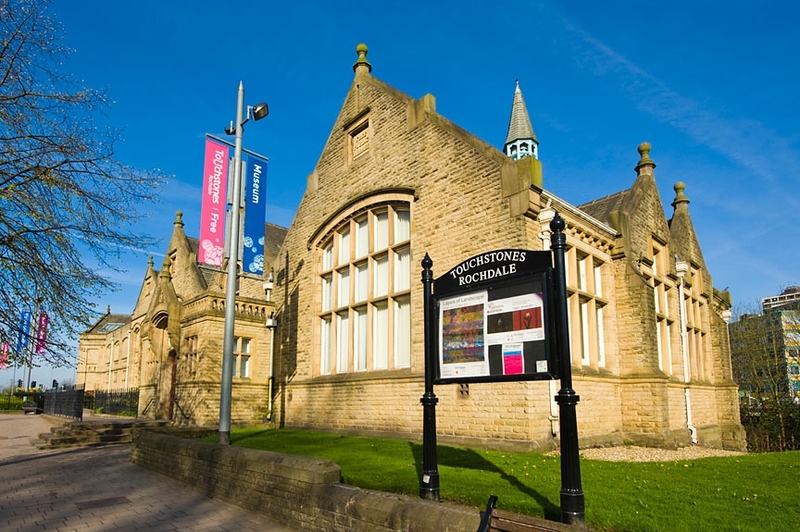 It is possible to hire spaces in Touchstones Rochdale for events, meetings, private functions, dinners and much more. For information about the spaces, including our 100 capacity event space, please click here to see the venue hire page. Why not come and relax in our cafe with our wide variety of drinks and snacks available. Perfect for a social meeting or to keep you going as you take a look around our museum and art gallery. 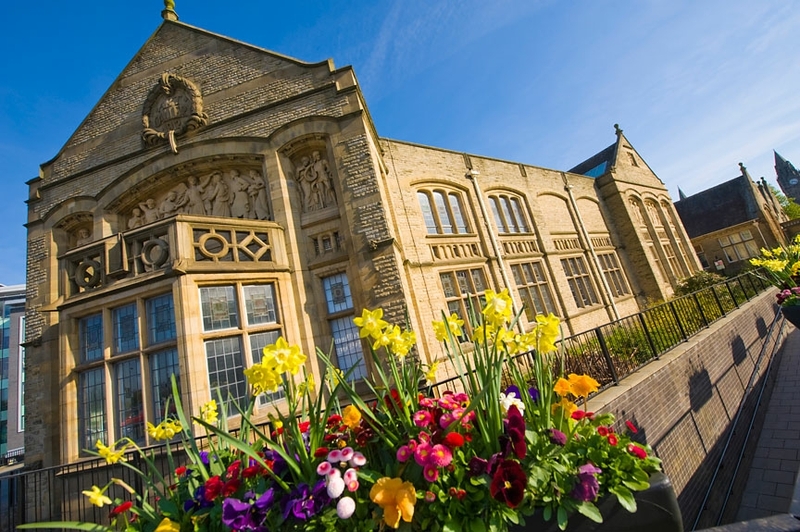 We are located close to Rochdale town centre approximately 5 to 10 minutes walk from Rochdale Interchange and Metrolink and 10 minutes from Rochdale Railway Station. 10 minutes drive from J20-M62. Cycle parking is available outside the Centre with Pay & Display car parking available close by. Click on the links to view our current exhibitions and digital brochures.